With its space-saving design and removable grass box on the rear collection models, the LR1 Mini-Riders do not need much more space in your garage than a normal walk behind lawnmower. 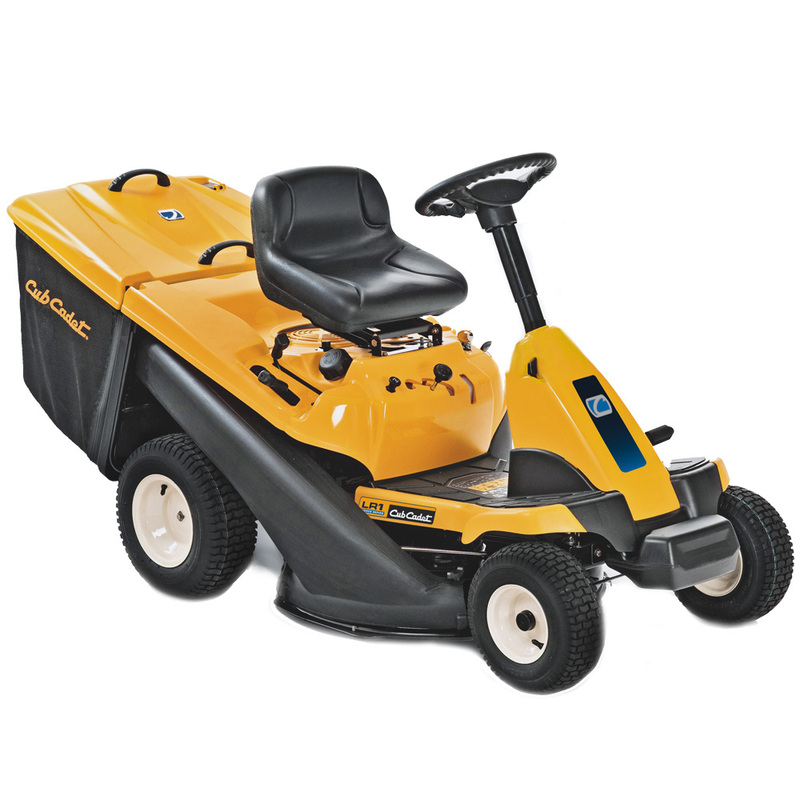 The Cub Cadet LR1 MR76 is ideal if you want the choice of how to dispose of your grass clippings; collected, discharged or mulched. 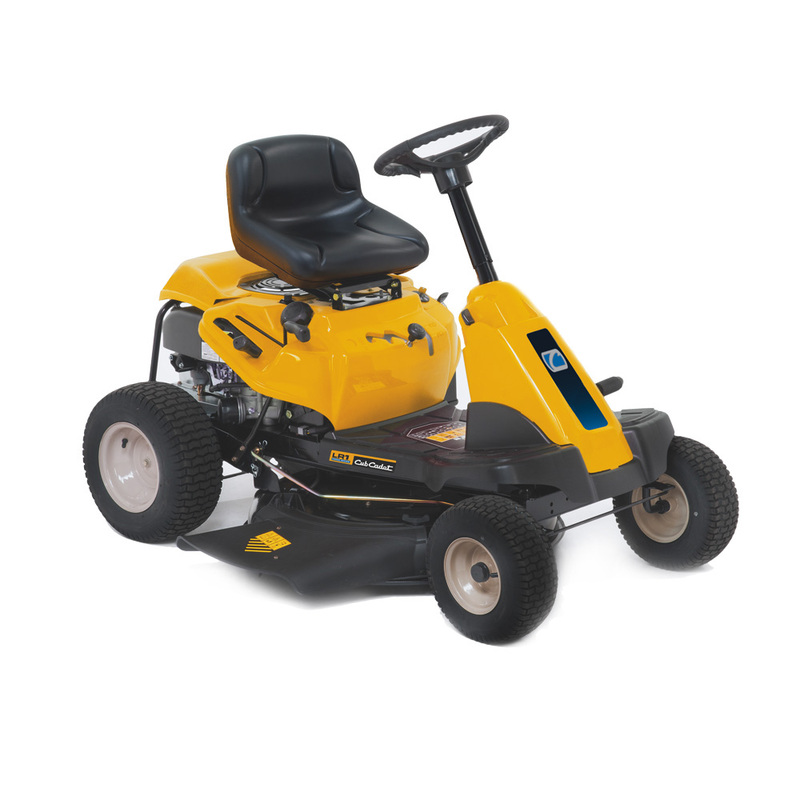 If you are looking for an excellent mulching lawnmower with the opportunity to side-discharge the clippings then the LR1 MS76 is the perfect choice. The transmatic transmission allows shift-on-the-go speed control. Simply choose your driving direction, set the desired basic speed and start mowing. On the LR1 MR76 you can select between 6 forward and 6 reverse speeds. The LR1 Mini Rider cutting deck is wide enough to cut up to 1500² in an hour but small enough to fit through most garden gates. With options to collect, discharge or mulch the grass clippings, the Mini-Rider mowing deck can handle it all. A 200 litre grass bag (models LR1 MR76 and LR2 NR76) with dust protection cover, two grips and fill indicator. Can be emptied from the driver's seat. The large fuel tank with fuel indicator gives you the freedom to mow your lawn in a full cycle – no refuel needed. Lawn-friendly, yet handy, even on uneven terrain. With soft rubber foot pads, for easy access and comfortable foot rest. The cutting height can be adjusted in 5 positions from 38mm to 95mm and with the individual deck clutch lever the cutting deck can be switched on and off. Both levers are located ergonomically on the right side of the seat.